Observation colonies each with approximately 1000 bees were given three levels of brood (0, 100 and 400 cells). Foraging was restricted to artificial sources in flight cages. 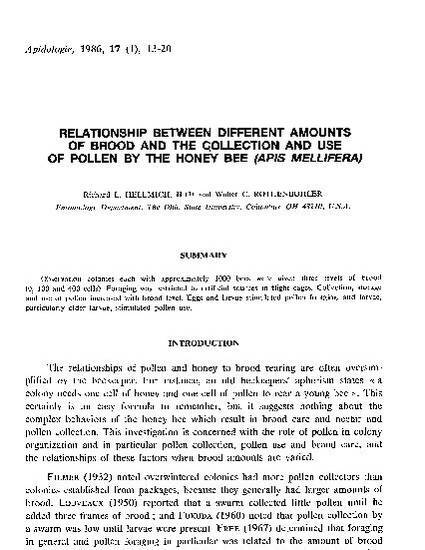 Collection, storage and use of pollen increased with brood level. Eggs and larvae stimulated pollen foraging, and larvae, particularly older larvae, stimulated pollen use.